Cream shortening and sugar. Add well-beaten egg yolks. Melt chocolate over hot water, and add to creamed shortening and sugar mixture. Mix thoroughly. Sift flour, measure, and sift with baking powder and salt, and add alternately with milk to chocolate mixture. Add flavoring. Fold in stiffly beaten egg whites. Bake in hot waffle iron. Serve with hot syrup, whipped cream, fresh sliced fruit or ice cream. Note: You can replace the shortening in this recipe with melted butter if desired. 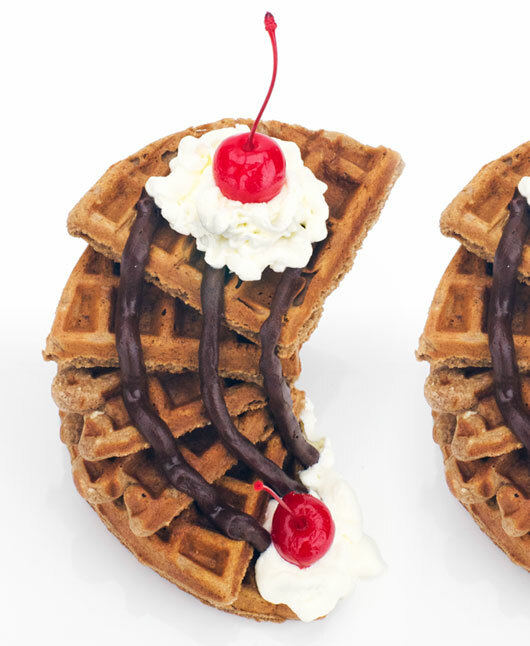 The resulting waffles won't be as crisp on the outside but the inside will still be fluffy and light. 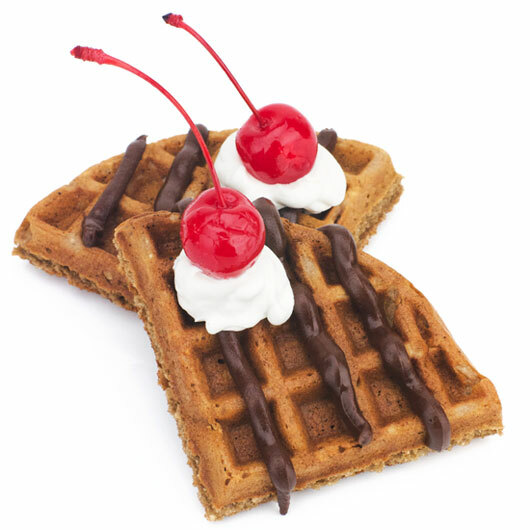 Light, crisp waffles with a beautiful chocolate flavor. 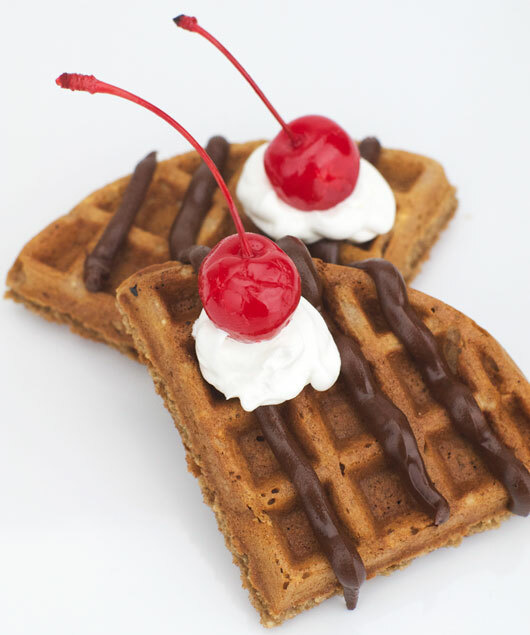 Be sure to beat the egg whites separately and sift the flour so the waffles are as fluffy as possible. Recipe number 570. Submitted 9/14/2002.